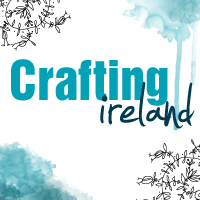 Hi all and welcome to Day 8 of the Crafting Ireland 12 Days of Christmas. 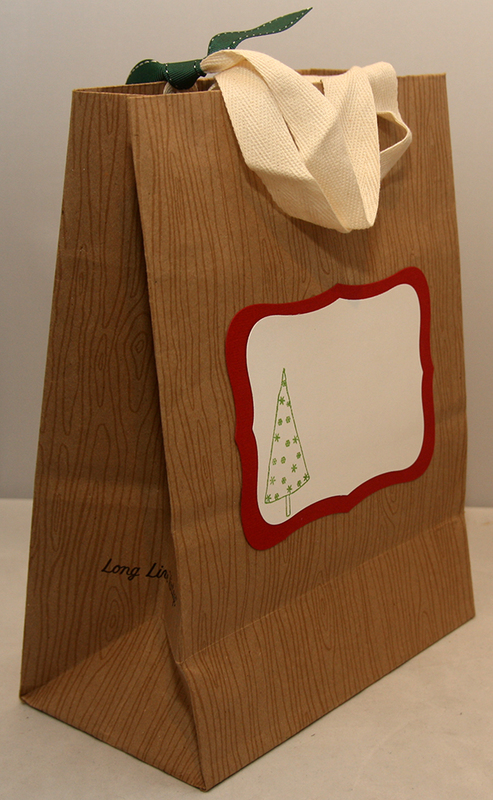 Today I am stopping by with a lovely simple project on re-purposing a paper bag. You could of course buy new ones. But I tend to keep ones that are nice and strong and sturdy so usually have a few lying around. 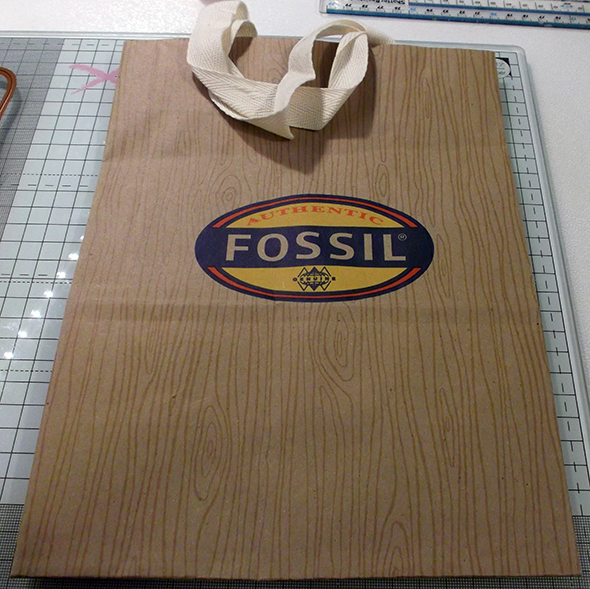 The paper bag I had was one from Fossil. It had a lovely woodgrain print all over it. But it also had a giant fossil logo in the middle of it. So I had to do something about that! 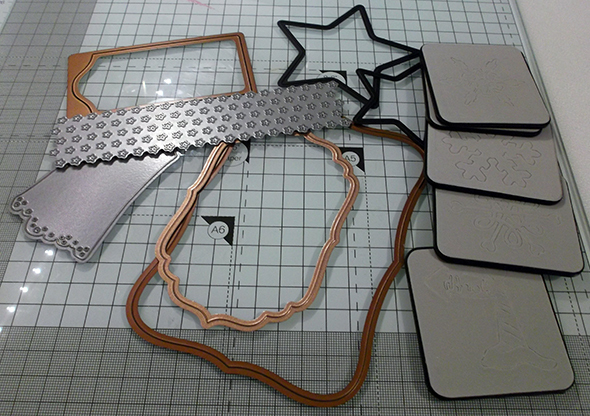 Die cut a shape big enough to cover the logo on the bag. Lay some ribbon down on it as below. 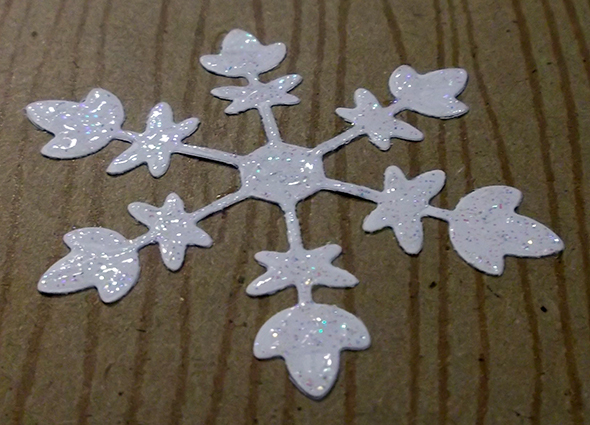 Then layer up further die cut shapes on it. 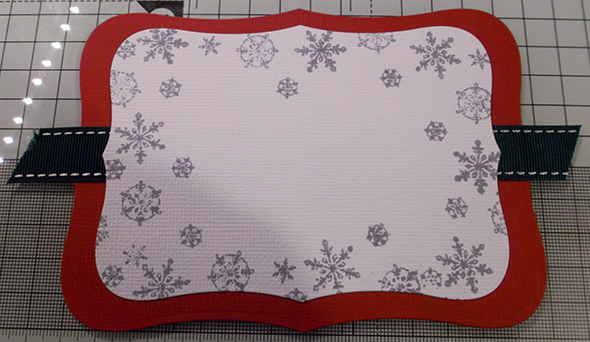 On the white panel I stamped some snowflakes in weathered wood distress ink. Stamp a sentiment or image. 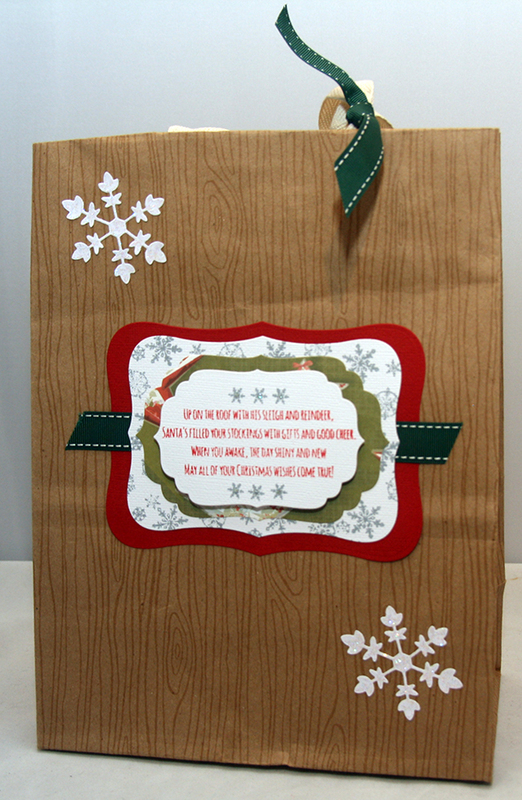 I used a lovely sentiment from Fresh Squeezed Stamps, a verse sentiment that looks lovely on the bag. 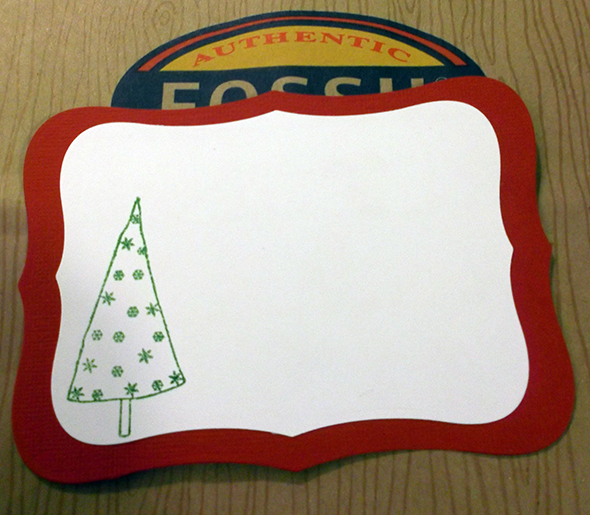 I adhered this on foam pads. 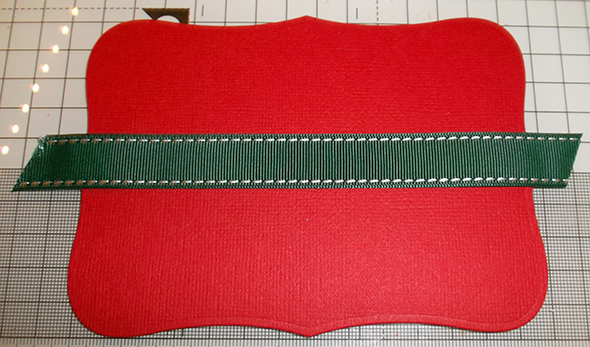 I always use lots of foam pads too make sure nothing sags in any part of it. 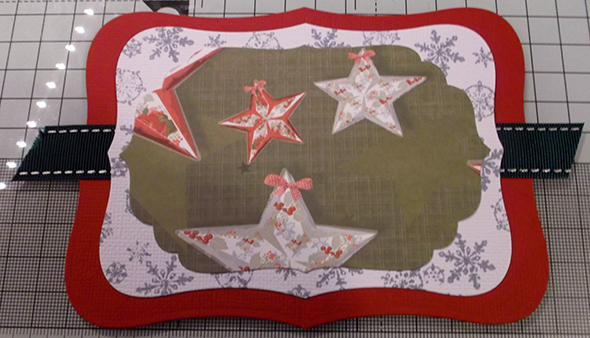 I added some snowflake die cuts to the bag and covered them with stickles for sparkle. Enjoy the new lease of life you have given your gift bag! I hope you enjoyed this little project. 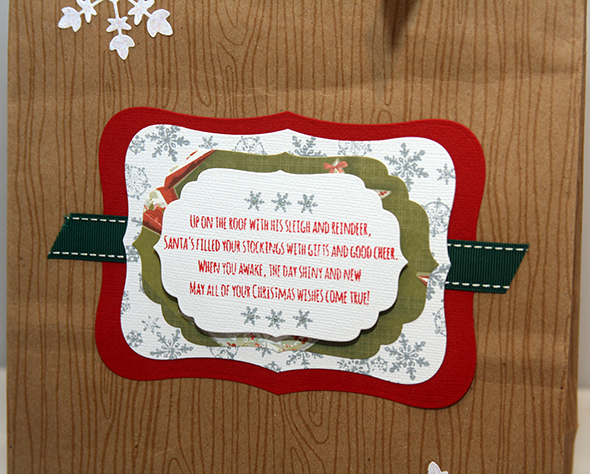 Make sure to stop by again tomorrow for day 9 of our 12 Days of Christmas special! !